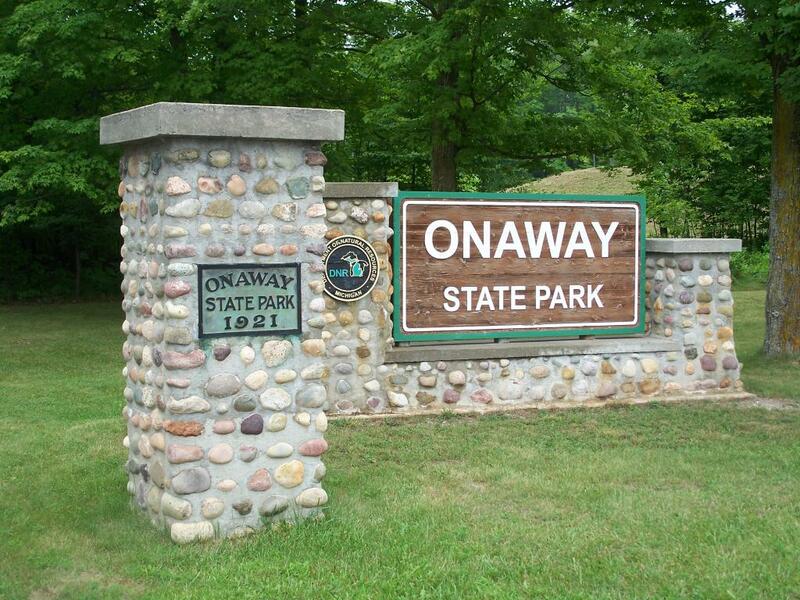 Onaway State Park on the beautiful Black Lake has rugged but picturesque land, including sand cobblestone beaches, large unique rock out-croppings and a diverse variety of trees a three-mile nature trail. The campground is set among virgin white pines and offers solitude, serenity and family fun. Activities enjoyed by both locals and campers include swimming, fishing and hiking. Fishing is abundant in Black Lake with muskies, perch and pike being caught. Those inclined to explore on land instead of the lake can take to the 3 miles of trails throughout the park property. The park is quiet and appeals to those who prefer a quiet, scenic setting.